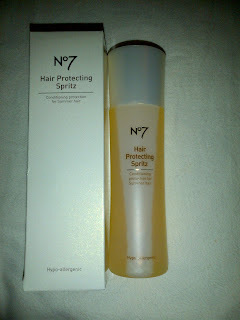 Emilyke: My new hair protector and de-frizzer! It was £6 and so with the voucher only £1! I thought this was amazing for such a big bottle aswell and i'm all for hair protecting products seeing as my hair has been bleached, straightened, curled, dried, backcombed etc. many times! It says to spray it on your hair before you go out which I do however I decided to spray it through my wet hair after washing it and it dried so much less frizzier! I've used it like this a couple times now and love using it! PS: i'm very very very excited as i'm going to be modelling in a hair show in London in a few weeks! My cousin is a hairdresser and is doing the show and asked me to be a model for it! I'm so excited yet very nervous that I will fall on my face or something haha! I'll make sure I do a post on the show with pictures and that! 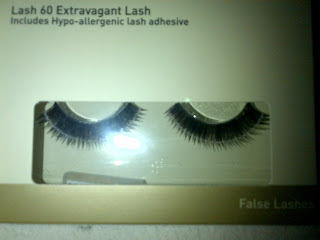 those eyelashes look GORGEOUS - look forward to hearing a review on them from you! I have a voucher to use up too so better hurry up! I saw this in Boots and I was wondering whether or not to risk buying it as I don't have a voucher, but I think I'll give it a try!